Da Nang is the expanding port city of Vietnam, the largest metropolis in the central region. Previously an overlooked tourist destination, the city now boasts a population of over 1 million people and welcomes local and international tourists all year round. Popular attractions include the majestic Marble Mountains, My Son Temples and shimmering sandy beaches, sprawling the impressive coastline. Cheap flights to Da Nang are now available for a limited time only, so book your flight today and experience the lively atmosphere and pristine beaches of this welcoming city! Da Nang is home to Da Nang International Airport (DAD), a 5-minute drive from the city centre. The city contains many historical remnants from the American war and some monuments and landmarks, such as Lady Buddha and Linh Ung Pagoda, depict the history and resilience of the Vietnamese people. Soak up the golden beaches at Pham Van Dong, My Khe and Holiday Beach, where you can rent a surfboard and catch some waves, or relax along the café-rich section of An Thuong. 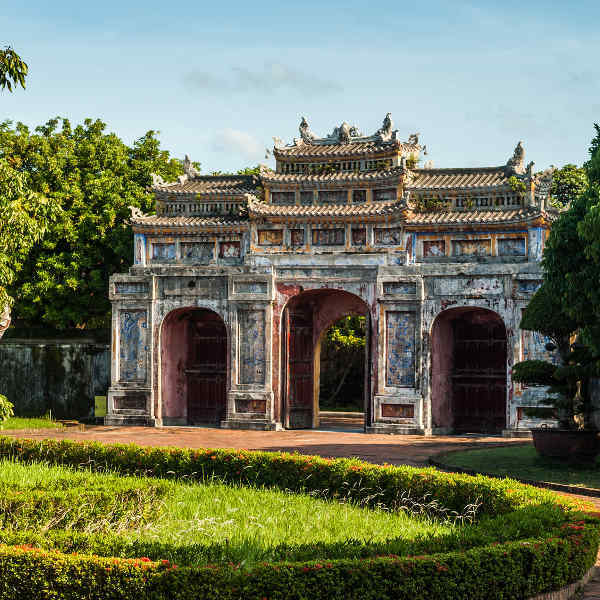 Ideally positioned between Hoi An, in the south, and the former capital of Hue, to the north, Da Nang provides convenient access to the contrasting towns, each with its own history and appeal. Da Nang experiences a tropical climate and it can get very hot over the summer months of June to September. The best time to visit this coastal city is rather between February and May. This is also an ideal time to go as you’ll beat the locals who flock down from June to August during the school holidays. The annual Cau Ngu Festival takes place over two days in March to bestow good fortune on the local fishermen. You can catch the locals celebrating along the beach, with ornately decorated boats out in the harbour. The port city of Da Nang is located on the southern part of Vietnam’s central coast at the mouth of the Han River. 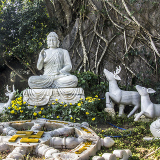 As a popular tourist destination for both local and international visitors, the city offers a variety of sights, including the marble and limestone hills of Marble Mountain - home to a number of caves, tunnels, sculptures and carvings. A little further afield you’ll find the My Son ruins - a series of Hindu Temples first built in the 4th century that have been designated a World Heritage Site by UNESCO. 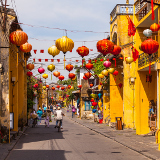 Da Nang’s central location to nearby historical towns makes it an ideal stop-over or base from where to further explore the Imperial city of Hue and the quaint, romantic town of Hoi An. 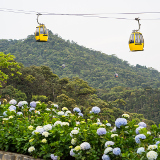 The mountain resort of Ba Na Hills, with its 5km long cable car system, is also a popular attraction. Summer time sees the locals flocking to the golden beaches of My Khe and Holiday Beach, where sun, sea and surf are to be enjoyed! 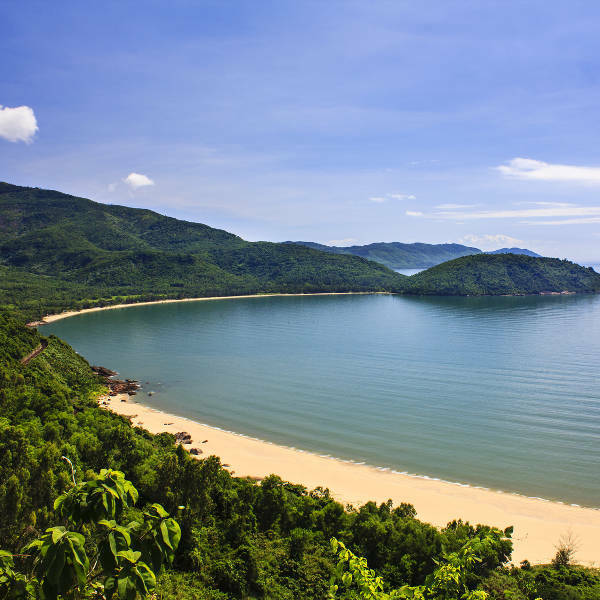 Compare several airlines, and book your cheap flights to Da Nang online at Travelstart! Vietnam is one of the safest countries to travel to, regarding personal safety. Da Nang is a very friendly and hospitable city where you can freely walk around the town and beaches without hesitation. Locals may try to overcharge you every now and then, but firmly say ‘No’ and walk away if you’re not interested. Have a general awareness about you and beware of pick-pockets around crowded places. No vaccinations are required for entry into Vietnam, however, if you are planning on staying for a while, it is recommended to be vaccinated against Typhoid and Hepatitis A as you may come into contact with contaminated food or water. Pharmacies are generally well-stocked, but very few staff speak English so rather be prepared and bring along precautionary medication for an upset stomach. Tap water is not safe to drink, but bottled water is easily available at any corner café or restaurant. Traffic in Vietnam is overwhelming and many visitors avoid being on the road. If you decide to drive a scooter, make sure you wear a helmet – this has become a legal requirement and you may get stopped and fined if you’re not wearing one. Da Nang is a sprawling city and has many great accommodation spots on offer. If you’re looking to get down with the locals and feel the pulse of the local nightlife, then the city centre is the place to be! Just a hop away from attractions like the Cham Museum, you’ll be treated to the lively sights and sounds of the city life, while the lit-up pubs and karaoke bars make for a fun night on the town. Accommodation in the city centre is significantly cheaper than along the beaches. A little further from the central buzz, there are many lovely hotels along the Han River, where stunning views, craft markets and local food stalls along Bach Dang Street make this an ideal spot for the more discerning traveller. Don’t forget to try the local hotpot (lau) and fresh seafood on display! Another popular option is, of course, to stay on the beach. The two main beaches of My Khe and Bac My An offer many hotels and guesthouses ranging from around $15 per night. If you want to really splurge (which is very doable in Vietnam) book yourself into one of the resorts along the Da Nang-Hoi An route where you’ll find golf courses and spas aplenty! If you’re a new traveller to Asia it is recommended to stick to taxis as a means of getting around. The chaotic traffic can be very overwhelming if you are unfamiliar with the road ‘system’. The green Mai Linh taxis are the most reputable and the drivers are not likely to overcharge you. Alternatively, you can take a motorbike taxi (called a Xe Om) or a cyclo, but be sure to negotiate a price before hopping on. A trip around town shouldn’t cost more than 35 000 VND. If you’re brave enough to face the bustling streets, scooter hire is widely available. It is best to hire a scooter through your hotel to avoid being scammed. Insist on a helmet, as the locals tend to be slack regarding safety regulations. A great way to explore the beach area is by walking or cycling along the promenade. Bear in mind that Da Nang is a spread out city so walking between major attractions is not really possible and will soon tire you out. You cannot leave Da Nang without a trip to Hoi An, which is only a 45-minute drive away. Prepare to stay for at least a night, preferably three, and experience the charm of this ancient lantern-lit town. 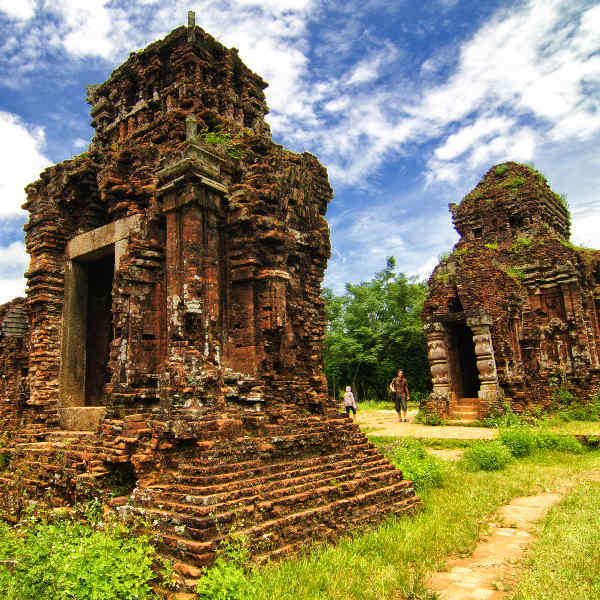 To the north, two hours away, lies the imperial fort city of Hue, also worth a visit.